Sandy Oltz worked with Julianne Moore on the film "Still Alice." 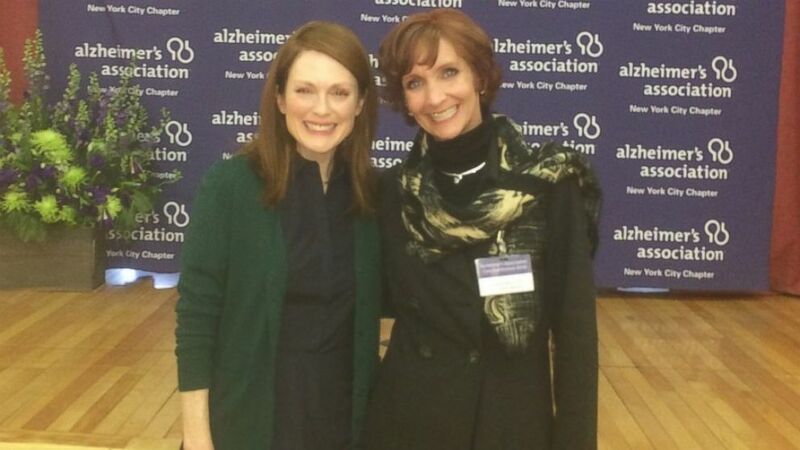 (Sandy Oltz/Alzheimer's Association) Sandy Oltz's 50th birthday she spent the day onset of the film, "Still Alice," where she coached Julianne Moore on what it's like to live with Alzheimer's disease. (Sandy Oltz/Alzheimer's Association) Oltz was diagnosed with early onset Alzheimer's at age 47. "You're constantly struggling and each day is different," she said of the disease.